A cleaning and maintenance program is complete only when you have all of the necessary components. Buckeye's training programs provide facilities with standardized procedures and training tailored to quality Buckeye products. Training programs include: step-by-step instructional videos, detailed procedure manuals, and easy-to-follow wall charts or flip charts. Buckeye programs offer high performance products that promote human health and safety, innovative packaging that is recyclable and biodegradable, helpful awareness and education tools, and specialized training that tie it all together. 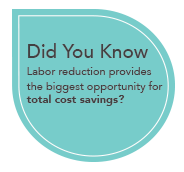 Buckeye understands that labor, resources, cost, and expectations are all important factors when choosing a cleaning and maintenance program. No matter what cleaning and maintenance needs you have, Buckeye will help you customize the most successful program for your facility. Are you getting the most out of your floor care program? A floor is the first thing people see when they walk into your facility. To keep floors looking their best, you need an effective hard floor care program. Buckeye understands labor, resources, cost, and expectations are all important factors when choosing your floor care program. No matter what floor type, equipment, or maintenance needs you have, you can be certain that all Buckeye floor care products are compatible. Let us help you customize the most successful floor care program for your facility. Achieve superior gloss and durability with Buckeye floor finishes for your specific maintenance needs. Buckeye floor finishes are non-yellowing and non-powdering with an excellent response to burnishing - features that will extend your strip cycles and save significant labor hours! Strip floors cost effectively, without harsh odors, and in one application with Buckeye floor strippers. Formulated with patented Liquescent® technology, Buckeye floor strippers are butyl-free and work in cold water. Buckeye floor cleaners are versatile, biodegradable, butyl-free, and require no rinsing. When you clean floors, Buckeye floor cleaners don’t produce excess foam or attack your floor finish. A hand hygiene program is complete only when you have all of the necessary components. 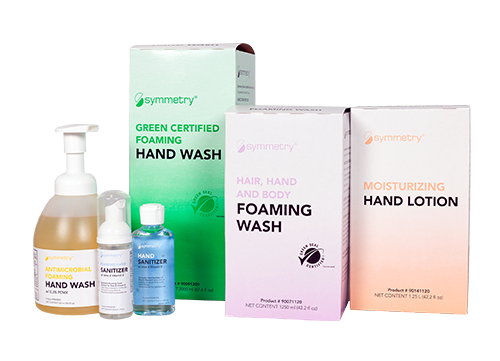 The Symmetry® Hand Hygiene Program offers a complete line of hand hygiene products, awareness and education tools, and training for your specific needs. Handwashing is the single, most important procedure to stop the spread of germs. Handwashing keeps you from transferring germs to other areas of your body, other people, and the environment. Wash your hands with Symmetry hand wash and eliminate germs. Symmetry dispensers offer the highest level of precision and durability. The user-driven design is made of ABS plastic featuring a large sight window, and hidden and keyed integrated lock options. 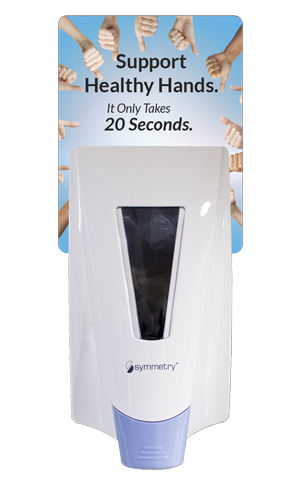 Symmetry’s line of innovative hand washes, hand sanitizers, lotions, body washes, and dispensers are ideal for any market including healthcare, retail, schools and government, food service, manufacturing, automotive, and more. 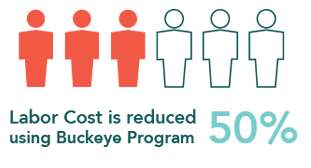 The Symmetry Hand Hygiene Program offers a complete set of customizable education and awareness tools to assist in creating a culture of hand hygiene. We provide the dispensers, hand hygiene products, and surveying tools. Then participants test and evaluate our products against other hand hygiene programs. For more information, contact a Symmetry representative. Are You Spending Too Much on Your Wood Floors? Get brilliant shine, excellent durability, and extend the life of your wood floors with the Buckeye Reflections Wood Floor Program! It is easy to follow, cost effective, and will provide years of beauty, performance, safety, and durability. Clean, abrade and recoat your wood floors utilizing existing equipment in your facility. Choose from the greenest and lowest VOC water-based wood floor coatings, and state-of-the-art oil-based wood floor coatings. Receive hands-on, personalized training from a Reflections representative, and access to Reflections web-based and DVD training approved by the MFMA (Maple Flooring Manufacturers Association). Achieve cleaner, brighter, longer-lasting floors that can extend your maintenance cycles, and become an expert in wood floor care! 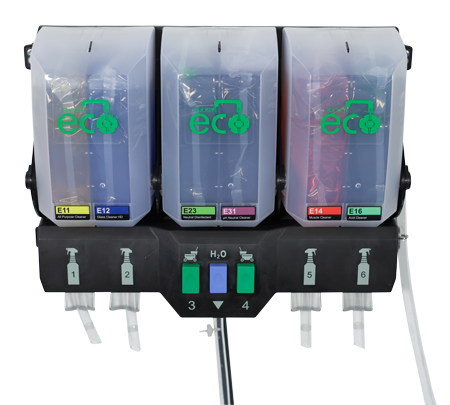 Achieve the best overall value for each dollar spent with the fully integrated Buckeye Eco® Proportioning Program, designed and manufactured with proprietary technology for you, the end-user, in mind. Effective, safer, economically and ecologically friendly chemistry; hermetically sealed, flexible and sustainable packaging; together with a simplistic approach to proportioning to protect and preserve your environment. Install Buckeye Eco® systems in virtually any custodial closet and maximize storage space. No contact with concentrated product and no exposed tubing. Cohesive User Interface & Experience. 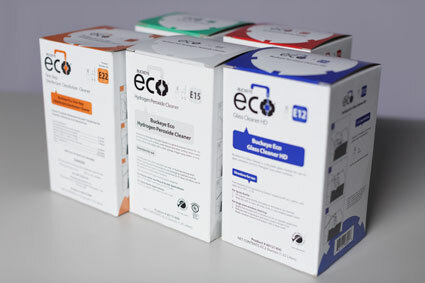 Buckeye Eco® Pro and Buckeye Eco® Element utilize the same user interface including system operation, labeling, icons, and seamless push and lock buttons. Choose between hidden and keyed integrated lock options. Visual product inspection ensures product is always available. Safer proportioning without the concern for back-flow or siphoning.